Are you still hesitating whether to go to Greece or not? Here are 3 reasons that will convince you! In search of the origins and remains of antiquity, Greece is the ideal destination. Everyone will find happiness in the heart of these Greek jewels. Beaches, excursions, family activities, do not miss the opportunity to explore the impressive cultural heritage of these amazing islands! 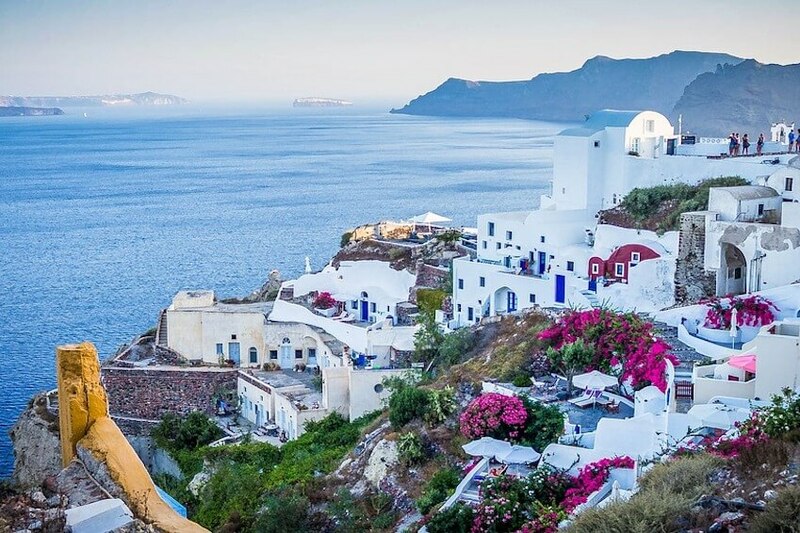 Greece is full of sublime archipelagos like the Cyclades, the Ionian Islands, the Dodecanese Islands and Crete which offer an exceptional natural heritage. Under the sun, at the turn of the pristine villages and the beaches, the Cyclades mix paradise scenery and archaeological sites. The Greek archipelago gathers in its treasures a range of islands with singular charms. One of them, Mykonos, with its authentic setting by the whiteness of the architecture mixed with paradisiacal coasts is one of the key destinations of your stay. To discover a surprising island, it is in Santorini that you will find wonders of black and red sand and vertiginous cliffs. For an adventure away from the beaten track, go to the little wonder of Kimolos. Have fun on dirt roads or rent a boat to reach this unspoiled paradise and its hard-to-reach beaches. Those of Mavrospilia and Kas or the lost coves of Poliegos with azure waters are dreamy scenery for the snorkelling lovers. Feel free to look at boat rental deals in Greece that are available on Click & Boat. In the air of Italy, Lefkada, Corfu, Zakynthos or Itaque are the ideal spots for your most beautiful photos. The imposing chalky cliffs overhanging the soft sand beaches of the Ionian Islands face the beautiful mountainous landscapes of the interior. Lefkada and Corfu offer lush vegetation: cypresses, olive trees, pines and vineyards. These landscapes of wild flowers and olive groves reveal a true idyllic setting. After getting lost in the seductive villages, do not forget to explore the incredible shores. The beaches of Lefkada and Navagio in Zakynthos, Caretta-Caretta turtle landmark and the beautiful Paleokastritsa bay of the North-West of the island are a must. That of Kefalonia, meanwhile, contains white coves with opaline waters and fairy underground lakes of Melissani reflections caused by the hole in the ceiling of limestone. A sunny stay along the West coast of Turkey will take you to the Dodecanese Islands. Sun, heat, and starry nights will fill your quest for the perfect place. This gateway between Europe and the East islands such as Rhodes, Kos or Symi offers beaches for all tastes. These splendid masterpieces of isolated pebbles call for relaxation and well-being. The unspoilt nature of Crete, with its mountainous regions inland and villages, is in harmony with the vast coastline and dream beaches. At the tip of the island, stop at Elafonissi, a wild lagoon with the air of the end of the world. Want a little secret place? That of Rodakino with sand and grey pebbles remains preserved and has an unusual splendour. The bay of Balos on the peninsula of Gramvoussa will delight you even more. An impressive view of a lagoon with turquoise blue waters contrasted by the greyish rocks awaits. These are places as extraordinary and diverse as Athens, Corfu, Peloponnese and Meteora which constitute the cultural heritage of Greece in the eyes of the world. A real pleasure for the senses! A lively and iconic city, Athens attracts the crowd with its ancient remains. A visit to the mythological city will transport you to majestic monuments. Built on the rocky promontory of the Acropolis, the Parthenon, Erechtheion and Temple of Athena testify to the power of the ancient city of Athens. Take a break in the heart of the olive trees and admire, at the end of the day, an incredible sunset on the white city. Unforgettable experiences! Corfu, the old city with neoclassical charm is home to small architectural wonders: citadel, port alleys and Byzantine churches... In the South of the city, stroll along the sea to admire the beautiful views of Kanoni Point and the monastery of Vlachernes, a set of simplicity and serenity. At the heart of the island, contemplate the wild and authentic beauty, dotted with hiking trails of the Greek countryside. It will reveal magnificent fortresses, such as the Citadel or even abandoned villages, where time has stopped. The Peloponnese will seduce you for sure. Its sites, not to be missed, are among the most impressive. Between mountain and seaside, along the Ionian Sea or the Gulf of Corinth, the discovery offers surprises. In summer, live to the rhythm of the shows and concerts in the ancient theatre of Epidaurus. Discover ancient Greece, continuing in the temple of Apollo, the Byzantine city of Mystra or even the site of Olympia. In the heart of the valley, this site is full of temples, monuments and buildings of all kinds. 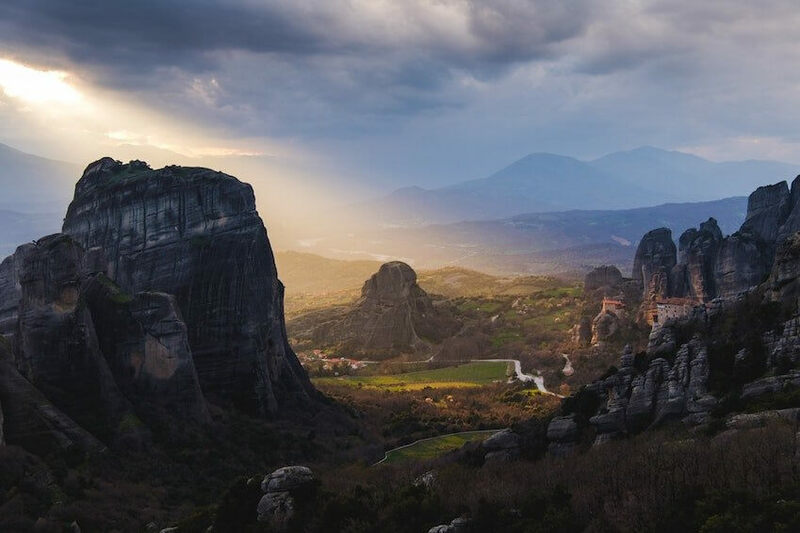 At the Western end of the Thessaly Plain, Meteora is a unique natural phenomenon in the world. These gigantic rocks rising to the sky are home to improbable monasteries. At the top of this forest of rocky peaks, silence controls the time and grandeur of the landscape sets a mysterious atmosphere that is out of the ordinary. Along the rocky steps, climb these wonders of nature and admire the city of Kalambaka between the mountains of Pinde and Antichasia. This little landmark is a gem for rock climbers from all over the world. Diving, excursions, water sports, hiking and cycling... all these activities await you in the heart of the Greek archipelagos. Want to discover the wonders of the seabed? Greece is a real landmark for diving enthusiasts. You will find the most beautiful spots in Monastiri on Paros, in the bay of Xirokambos on Leros or in Paleokastritsa in Corfu. Do not miss Zante Island, famous for its very photogenic shipwreck bay but also for its clear waters and loggerhead turtles. These marine experiences in Greece combine beauty, adventure and exploration. 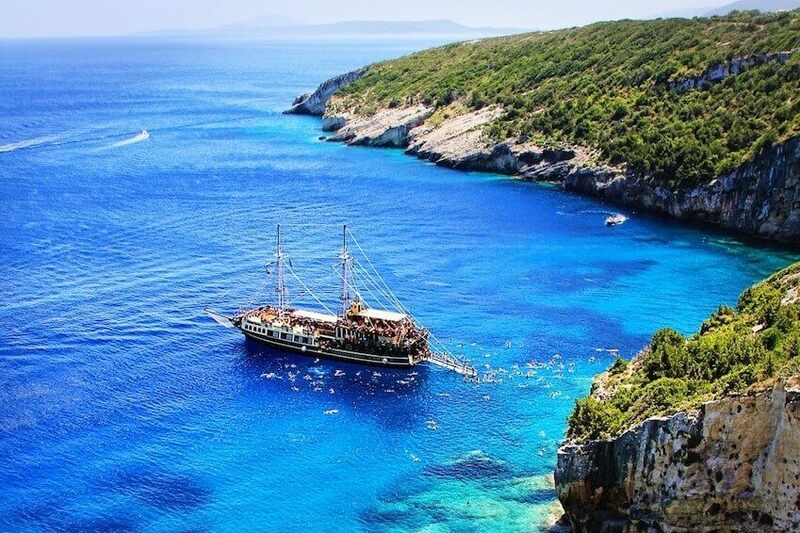 In the heart of the Aegean Sea, dive into the magical waters that offer an impressive diversity of flora and fauna in a colourful orchestra with its surprising wrecks and caves. Treat yourself to a Mediterranean cruise to enjoy the beautiful coast of the Aegean Sea. The opportunity for you to visit the range of Greek islands. Do you want to explore the coasts further? 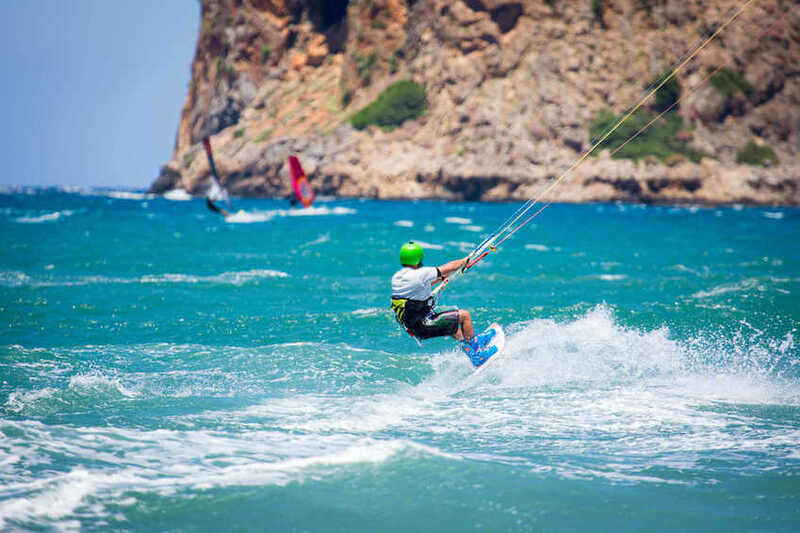 At the pace of the North wind, indulge in windsurfing in Naxos, Kos or Corfu. On the endless blue of the Aegean, tame the waves with water skiing from the Athens Riviera to Mykonos via the Peloponnese. Fly above the waves while surfing or kite-surfing! Greece is a real invitation to hike in the ancient Peloponnese, the incredible Crete, the breathtaking Cyclades or the natural Corfu. A beautiful variety of shepherd trails, and paved paths await you. Along the paths lined with white walls, visit the enchanting island of Antiparos with its incredible beach of Voutoumi, its olive trees and its vineyards. For a moment, enjoy this Greek landscape. Soak up this beauty! Discovering spectacular scenery, white and blue villages, immerse yourself in these Southern landscapes. As a couple or as a family, go in a different way to discover a Greece. With more than 4,000km of coastal roads, Greece can only satisfy cyclists. Rent a bike for your stay and embark for unusual discoveries on the Greek roads. Pedal at your own pace in the heart of traditional villages and along the beautiful beaches. Enjoy relaxing breaks and swimming in the translucent waters.